Paul and I have two small dogs and one very large German Shepherd. 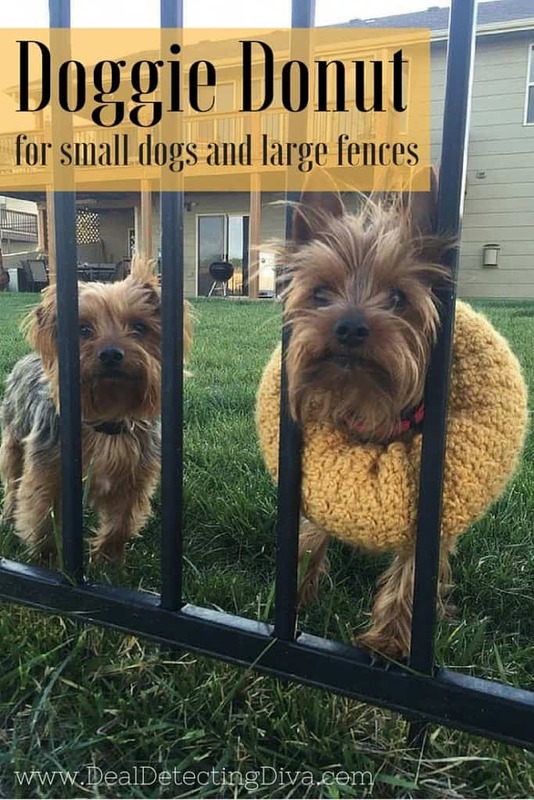 One of our small dogs is just barely too big to fit through the bars of our wrought iron fence (he’s 12 lbs) and the other is so itty bitty (4 lbs) he could literally walk right through. We needed a Doggie Donut. Some back story: several years ago we adopted a very small, very old Yorkie from an elderly woman who could no longer care for him. He fit into our family so well! Unfortunately after just a few months with us, he escaped through the wrought iron fence – on Christmas Eve no less. Our company didn’t know not to let him out in the yard unsupervised, and I’m sure you can guess the rest. After driving around all evening and a full week of plastering reward flyers throughout our neighborhood, we got a call from Animal Control. He had been hit by a car somewhere near our home, presumably on the night he went missing. So sad, and I hope that none of you ever experience losing a pup in such a way. As far as our boys know (they were 4 and 6 at the time) he ran away. As you can imagine, I am very careful with our little guys and watch them like a hawk when they are outside. I rarely leave them out for longer than a few moments at a time. Instead of attaching chicken wire to our fence I crocheted him a collar to wear only while he’s outside or when we have company over. When the doors are being opened over and over again as kids run in and out. It is VERY light weight, I wouldn’t want it to weigh his little self down as he tries to walk or run. It rests on his shoulders to prevent him from fitting through the bars of the fence. The filling is practically weightless. 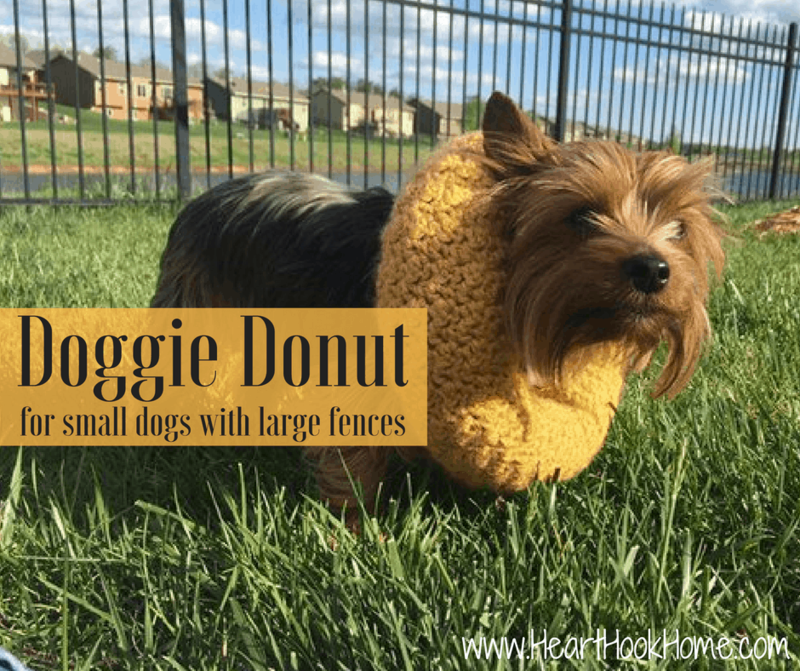 I can not guarantee that your dog will not wiggle out of their Doggie Donut, or that they will not escape your yard. But I will tell you that I have been using these for 3 years now and he has never gotten out of our yard. Use at your own risk. Just slip it on before you let him/her outside and take it right back off when you bring them back inside. 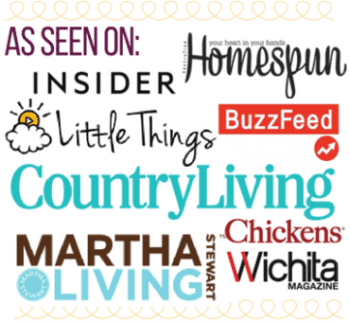 Great for traveling or if your in-laws have a wrought iron fence etc! Fudge! I need this pattern desperately, but the link ("Print pattern HERE") goes to a post about crocheting with black yarn and I don't see anywhere else to access it :( My Chihuahua had a skin condition that was itchy. The skin condition is cleared up, but he developed an almost neurotic urge to lick and chew and he's making himself bald. The vet said give him Benadryl, but I don't want to drug my dog up all the time. I think this "doggy donut" will help break his habit. HELP!! I soooooo need this pattern, please. :) My Chihuahua, Guapo, has decided that he doesn't have to stay behind a wrought iron fence anymore. The pattern is looping as others have mentioned. 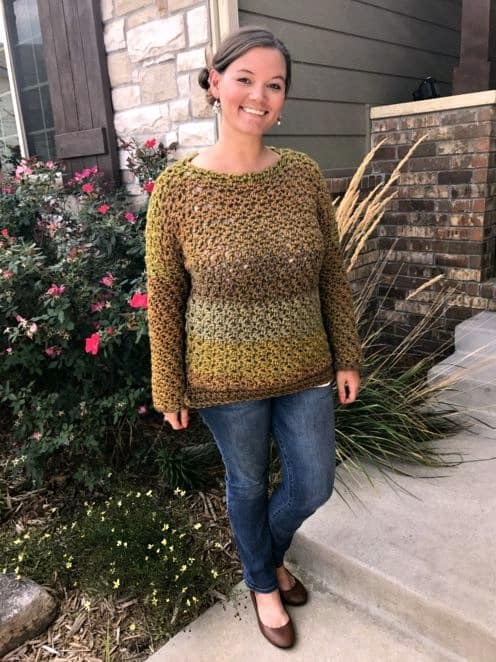 I would love the pattern for this, but when i click the link you provide for printing the pattern, it is just a loop back to this post... could you please tell me how to find the pattern? This is clever. I don't see why you could not make some of these to use as cones for injured dogs. This is a great idea. We had a small dog that was completely blind. This would have been great to help her know that she was about to bump into something. I tried making some homemade bumper ring harness , but it didn't work out very well. The dog passed away 6 months ago, or I would be making her one of these cool gadgets.